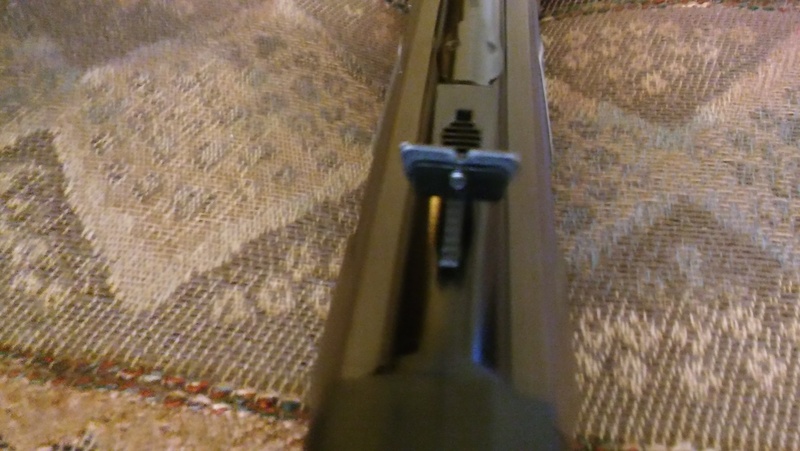 I own a Daisy Powerline 880 pellet gun and would rate it 4 stars out of 5 stars. Here are the Pros and Cons of the 880. 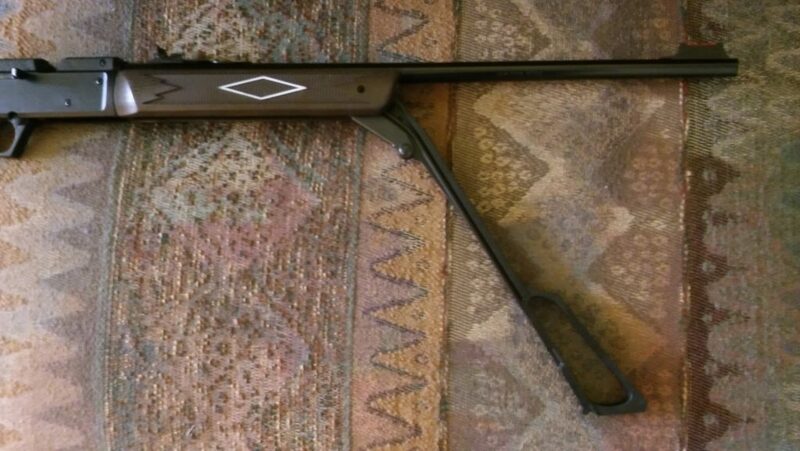 The Daisy Powerline 880 air rifle has a plastic stock that is light weight and very durable, as long as you don’t abuse it. 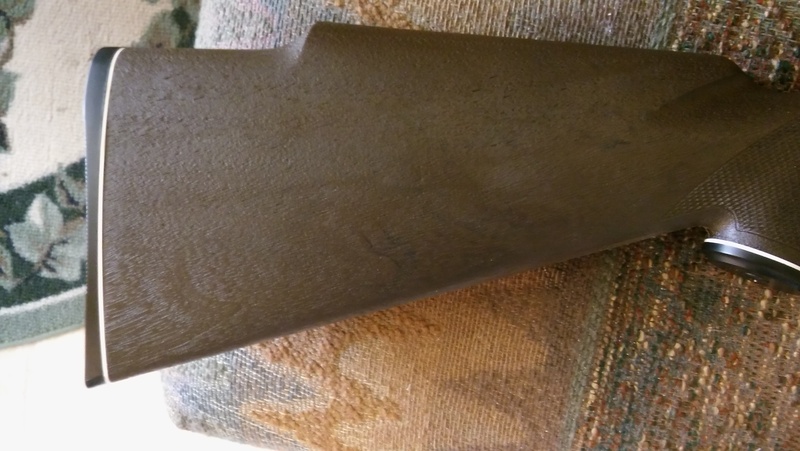 The Monte Carlo designed stock fits well and allows use of either open sights or a scope. 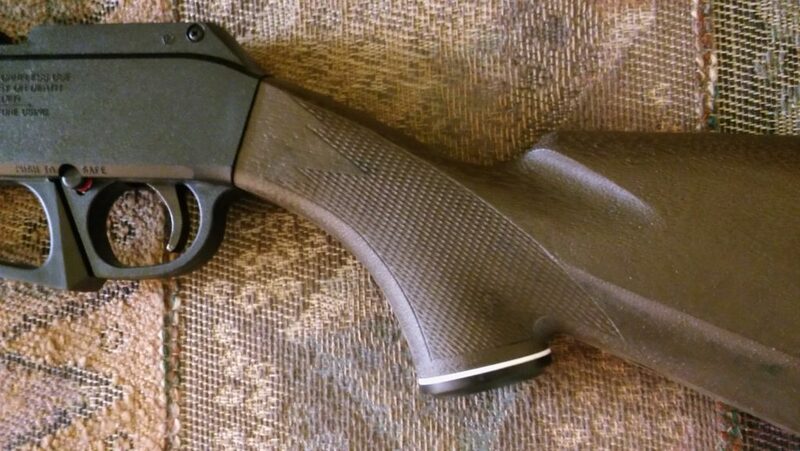 The Daisy Powerline 880 pistol grip is very comfortable and has mild checkering to provide a non-slip grip. The white grip cap spacer adds a nice touch. 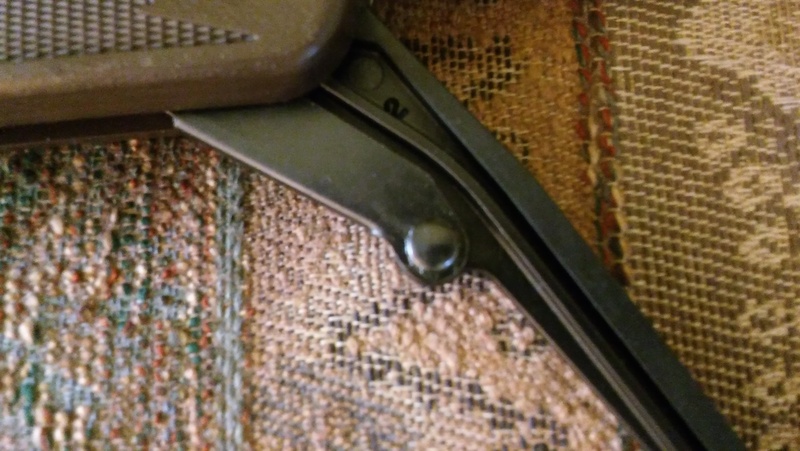 The trigger pull is not too heavy and will not hinder accuracy. 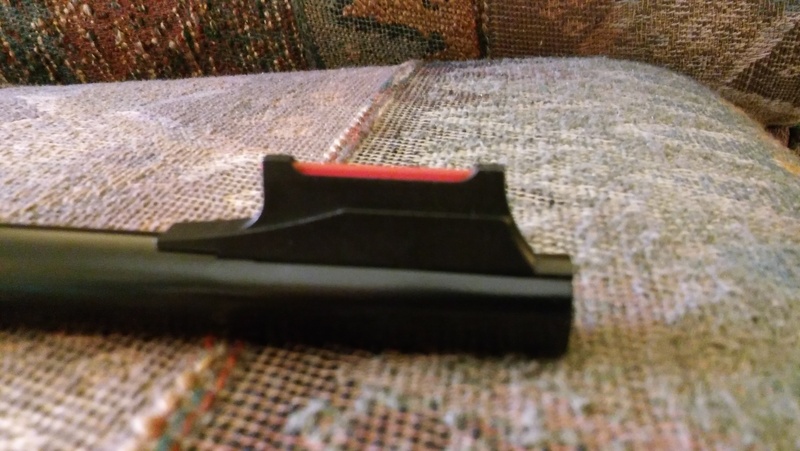 The 880 receiver is plastic and well designed. The bolt is easy to engage and cycle. 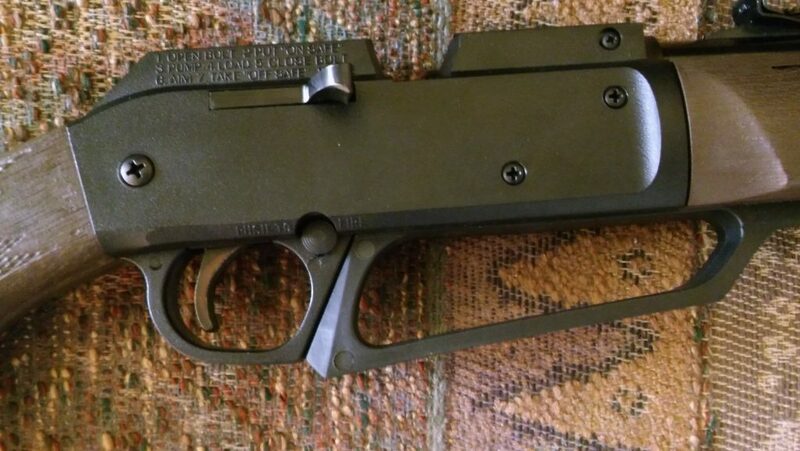 The trigger guard is very functional and blends in well with the contoured pump handle. The 880 pump handle is long and provides quite a bit of leverage which makes it extremely easy to pump. The Daisy Powerline 880 pump handle is mostly plastic but still functions well. The large handle makes it easy to open and pump. The piston connecting rod is metal and is securely fastened to the plastic pump handle. Pumping is very smooth and requires little effort. 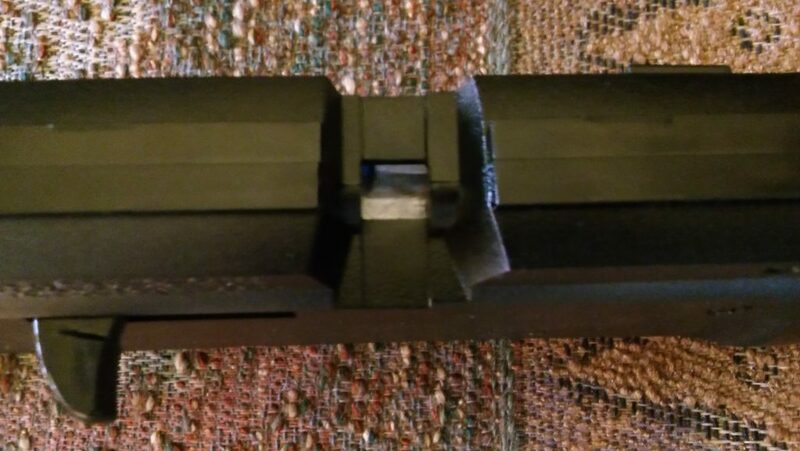 The 880 bolt action loading gate is small and can be challenging to load pellets. The use of a pellet loader makes it much easier and faster. BB’s load as fast as you can work the bolt. The sights are fiber optic and adjustable. I like them and they work quite well. 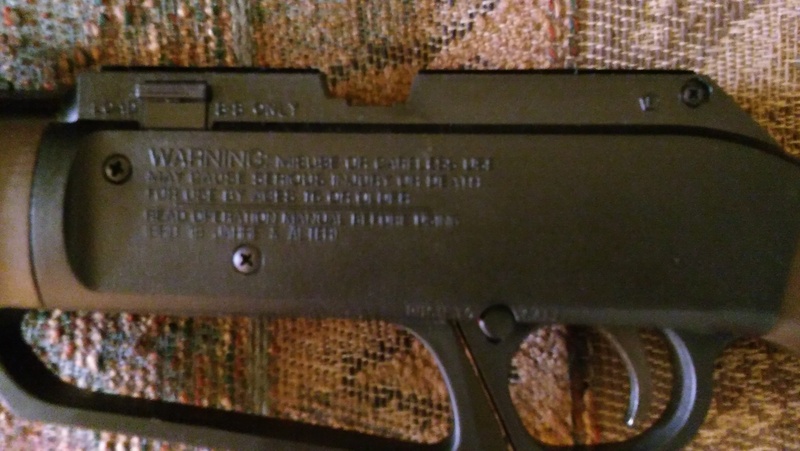 Here are the rear sights. 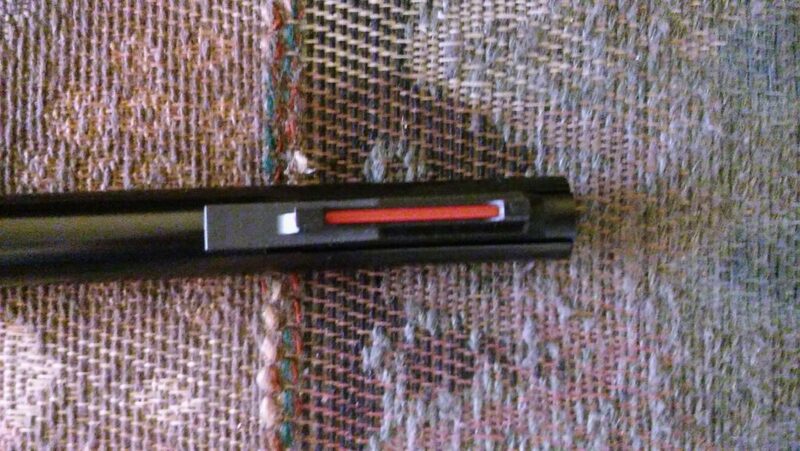 Here is the front fiber optic sight. It’s very easy to see in most weather conditions. 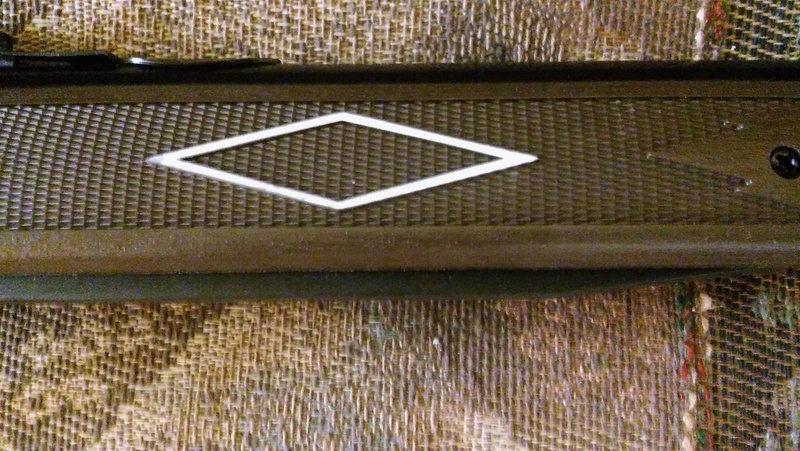 The forend is checkered plastic with a nice white outlined diamond. It provides a good grip, even with wet or sweaty hands. I’m giving away one brand new Crosman 2100b .177 cal pump pellet gun. **** As of 11/30/2016 there are only 2 entries!!!!!! How to Enter: Send an email to giveaway(at)pelletguns1(dot)com with Crosman 2100b Giveaway in the subject line and your name in the body. I will select 1 winner at the end of the giveaway promotion. ****Only U.S.A. residents can apply and you must be 18 years of age or older. So how powerful is a .22 cal pellet gun? …how much penetration does it have? Believe it or not, a .22 caliber 12 grain pellet at 700 fps is pretty powerful and will penetrate a 1/2″ pine board. Watch this pellet gun demonstration featuring the excellent Benjamin 392 .22 cal pellet gun and 8 pumps. The Daisy Powerline 880 pellet gun is a great value ($50) in the air rifle arena. It combines descent quality and accuracy with affordability. The 880 is a multi-pump single shot bolt action rifle with a maximum muzzle velocity of 650 fps with pellets. Here’s a great target practice video featuring the Daisy Powerline 880 pellet rifle and various entertaining targets ranging from soda cans to street chalk to toy soldiers. You can get really creative with targets for pellet guns. Congratulations to Megan Berlier-Green, the winner of the Pellet Guns 1.com giveaway!!!! Enter the Pellet Guns 1.com Giveaway and get a chance to win a brand new Crosman 760 Pumpmaster Pellet gun FREE. ***There are only 2 entries as of 10/10/16!!!!!!!!!!!!!!! How to Enter: Send an email to giveaway(at)pelletguns1(dot)com with Crosman 760 Giveaway in the subject line and your name in the body. I will select 1 winner at the end of the giveaway promotion. 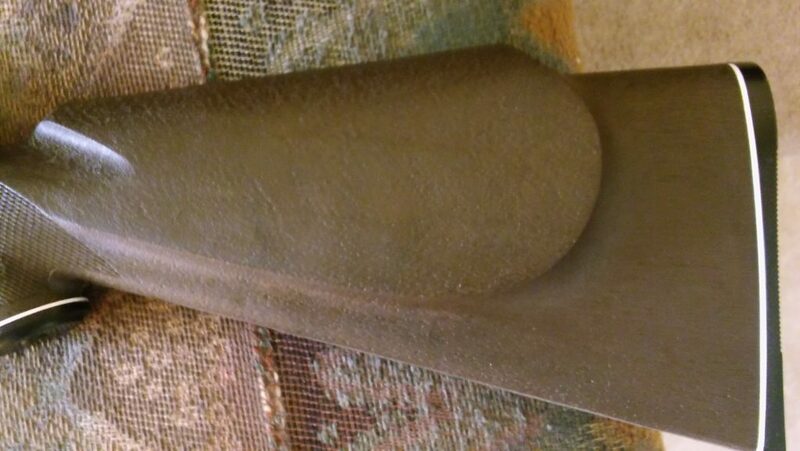 Fixed blade front sight with adjustable rear sight.